Looks like the Tooth Fairy will be paying a visit to your home! Losing a baby tooth is a normal, biologic function. But what fun is there in that?! Let’s add some magic, glitter and the Tooth Fairy! Rooted in European folklore, many stories and traditions are tied to the Tooth Fairy. Some are factual. Some are not. Some are superstitious, but most of them are fun! 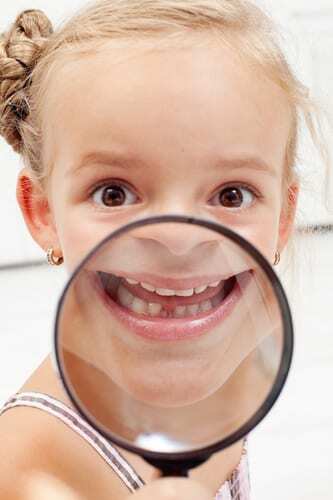 Historically, the first baby tooth lost is the most valuable and yields the most money. In the 1940’s, the Tooth Fairy exchanged a dime for the first tooth. In the 1950’s, the exchange increased to a quarter. In the 1960’s, children found Kennedy half dollars under their pillows. In the 1970’s and 1980’s, children could expect to receive a whole dollar from the Tooth Fairy. Today, the Tooth Fairy will leave up to five dollars in exchange for a first tooth! What used to cost the Tooth Fairy a dime, now costs up to 50 times more! This video reveals the generosity of today’s Tooth Fairy. There are many ways to share the magic of the Tooth Fairy with your child. Whether you intend to go all out or keep it simple, here are a few creative ideas to make this event extra-special. When your first child informs you that their two bottom front teeth are a little wiggly, it’s time to prepare for a visit from your assigned Tooth Fairy. All it really takes is a little strategically-placed fairy dust to make the first lost tooth a memorable event. Does the Tooth Fairy visit your home? Do you remember special Tooth Fairy traditions as a child? Let us know. Leave a comment or contact Sherwood Dental at info@sherwoodparkdental.ca to tell us all about them. If you have dental hygiene questions or need to schedule an appointment, please call (780) 464-4166.